The health benefits of cruciferous vegetables like broccoli and cabbage are near countless. Many of these vegetables are able to prevent obesity, protect against heart disease, and even prevent cancer. In one recent study, researchers with Baylor College of Medicine have found a compound from these valuable veggies can actually kill cancer cells. According to a press release from the university, researchers used a concentrated form of sulforaphane, a compound in broccoli that is believed to both prevent and treat cancer. They then used the concentrated formula on human-derived leukemia cancer cells. Acute lymphoblastic leukemia is a blood cancer most common in children. For the study, the researchers used cancer cells from pediatric patients. “Acute lymphoblastic leukemia is a type of cancer of the white blood cells common in children. There is about an 80 percent cure rate, but some children don’t respond to treatment. For those cases, we are in need of alternative treatments,” said Dr. Daniel Lacorazza, assistant professor of pathology & immunology. Eating meals of broccoli may not kill cancer if you’ve already been diagnosed; that is true. However, this isn’t the first study to link sulforaphane with cancer treatment and prevention, suggesting the vegetables containing this important compound can play a crucial role in both prevention and treatment. Previous research came to similar conclusions, finding that sulforaphane could actually help reduce prostate cancer proliferation by dampening the effects of cells missing an important gene, called PTEN, which normally stops cancer from developing. Another study showed the compound had value in protecting against breast cancer. While the studies very well may have used concentrated sulforaphane to combat and prevent cancer, it’s reasonable to say that the vegetables containing this compound at natural levels do offer some level of prevention and protection. Don’t wait for sulforaphane in a supplement or drug form, just continue (or start) eating vegetables on a regular basis. Buenas, les dejo un artículo sobre el Sulforafano. Sulforaphane does not suppress thyroid function. It is the isothiocyanate component of cruciferous vegetables that will do this. Sulforaphane is already available in concentrated supplemental form and several of my patients have already benefited from it. Sir In what ways did your patients improve? Also I h ave a friend with advanced AML How can herbs,supplement s possibly reverse genetic damage in bone marrow? 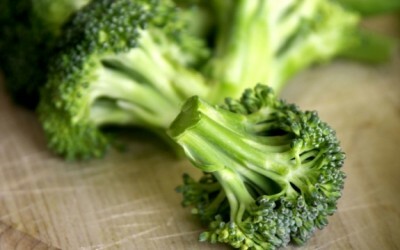 I think broccoli can suppress the thyroid if it is not steamed or roasted. Although vegetables are touted as being nutritious some have a downside which is not generally known. A concern about cruciferous vegetables is that they are suspected of suppressing the thyroid. Does it make a difference to the effectiveness of the sulforaphane whether the vegetables are cooked or raw?